Billionaire inventor Lex Luthor, the man behind countless modern marvels, was languishing creatively and personally until the day the Kryptonians arrived. It was man's first contact with alien life and it leveled half of Metropolis. But it rekindled dormant fires and gave Lex a reason to start inventing again. That reason was the protection of Earth. And so, 6 months after the Metropolis Disaster, Lexosuit Mark I was ready for battle. Powered by Kryptonite Reactor and assisted by an artificial intelligence program called "Mercy," the Mark I was a marvel beyond compare. And when the remaining Kryptonian finally resurfaced, now using the unsettling name of "Superman," Lex Luthor donned his armor and became Earth's Mightiest Hero. 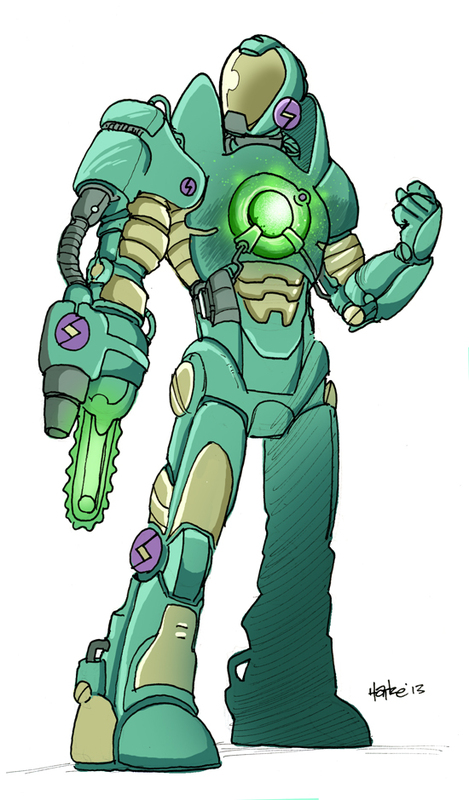 So this Lex Luthor concept doesn't really fit with the rest of my Justice League redesigns. It's inspired by the Movie Man of Steel which gave us a version of Superman that, if he were real, would be a frightening and terrible monstrosity. I left that movie thinking I'd love to see a heroic version of Lex Luthor that could go toe to toe with that Superman. 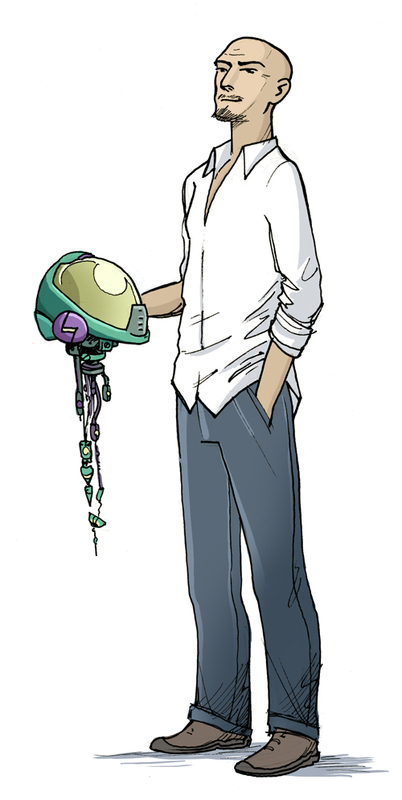 Here, then, is a character that is equal parts Lex Luthor and Tony Stark (with a little Metallo thrown in). If I were to see this story through to it's conclusion Luthor's Mark I suit wouldn't last long and he'd have to keep building more powerful suites until he exhausts his fortune and ends up with a Pacific Rim style Jaeger. Oh! and he and Bruce Wayne would be drift compatible.